We can provide a calm and unique London training venue for your workshops, training or team-building events. 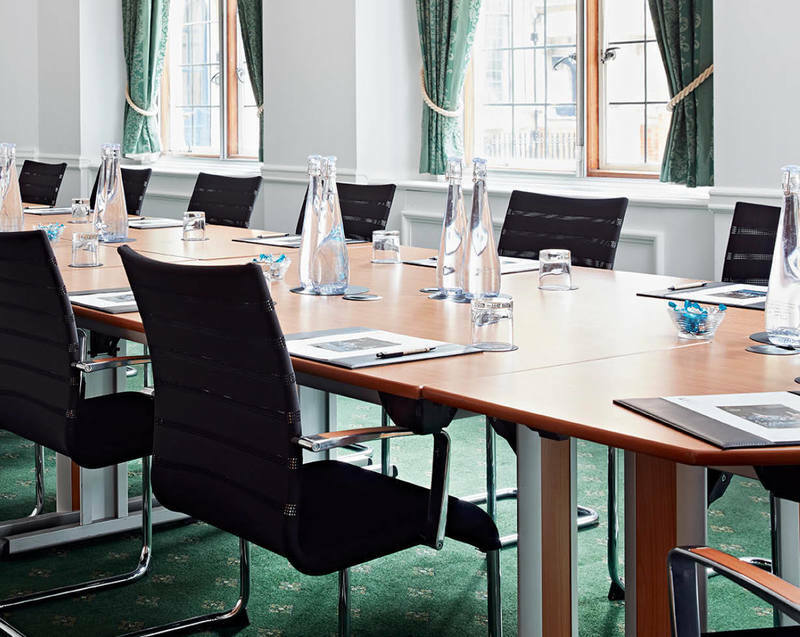 Located in the heart of Westminster, our Grade II listed building is a characterful alternative to the usual corporate surroundings whilst benefiting from modern and versatile facilities. Take a look at our AV Packages or get in touch with our team if you would like to discuss a tailored option. Our experienced catering team knows exactly what hungry delegates appreciate and will provide the dishes quickly and reliably during your refreshment breaks. Take a look at our tasty breakfast, lunch and refreshment menus or get in touch if you would like to discuss a more tailored option. I have had feedback and it is the usual glowing report! Thanks so much, you do get it so right at Church House! We have had nothing but praise for the event itself and a lot of that is down to the location for which you can be immensely proud. Please thank all of the in-house team who were part of this event and made it the success that it was. The Challenge will have no issue in recommending Church House to its sponsor community for future events. 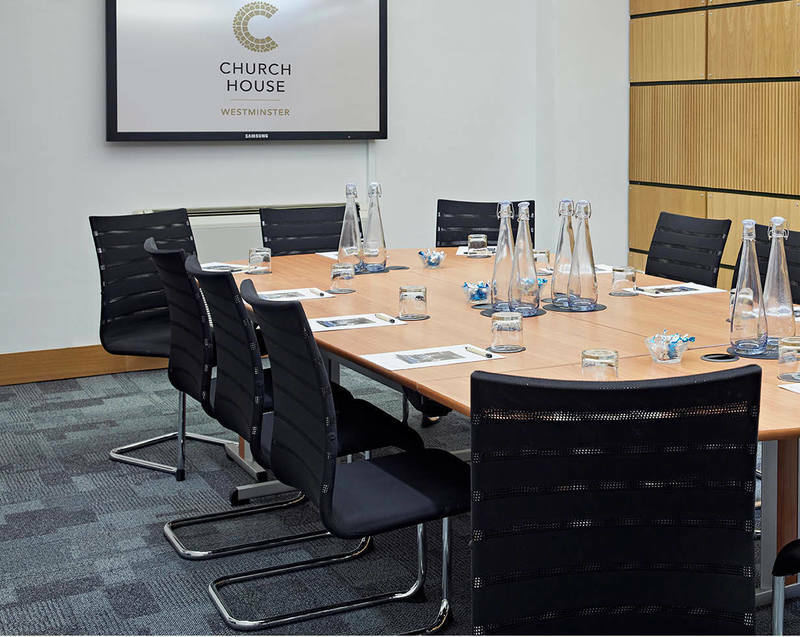 Church House Westminster offers a number of calm and unique venues for training or workshops. 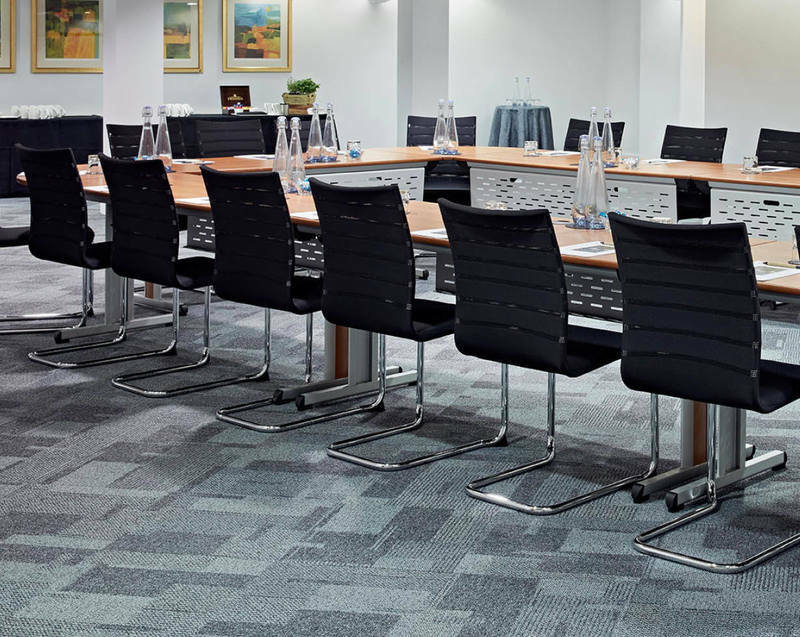 The 19 rooms across the conference centre in Central London can all provide a different space. On the lower ground floor Coggan, Ramsey and Temple Room are popular choices for small training groups they can accommodate various capacies but with a maximum of 12 delegates in classrooms style, 25 theatre style and 16 cabaret style. The room hire has hourly and half day rates and includes a 64” plasma screen. On the ground floor again there are several options Westminster, Abbey and Herbert Baker room all offer a similar setting they can accommodate around a maximum of 45 theatre style, 24 cabaret style and 24 classroom style. They come with a 75” LED screen. 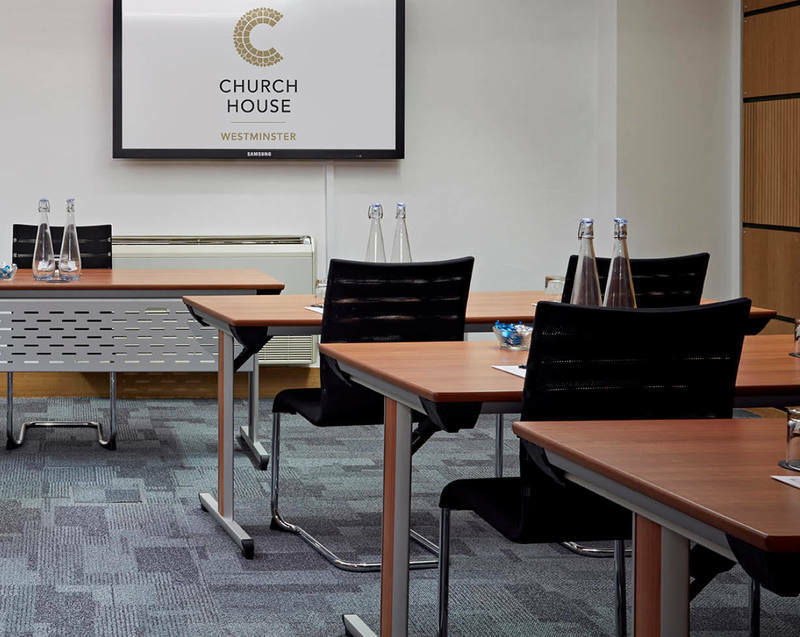 The Council room also on the ground floor again offers capacity of 40 theatre style and a 75” LED screen and it has an adjoined space which can be used for catering. Our in-house catering team can offer a range of healthy breakfast and lunch choices to help fuel your delegates for a day of learning and the audio-visual team will be able to help with any equipment that you may need for presentations. The other larger spaces throughout the Conference centre can be used for larger workshop or training groups, the Assembly Hall on the first floor for example can accommodate a maximum of 198 in classroom style, theatre or cabaret. It is fitted with 4K ultra HD projection and comes with 4 different screen options, which can be chosen depending on what best suits your event requirements. 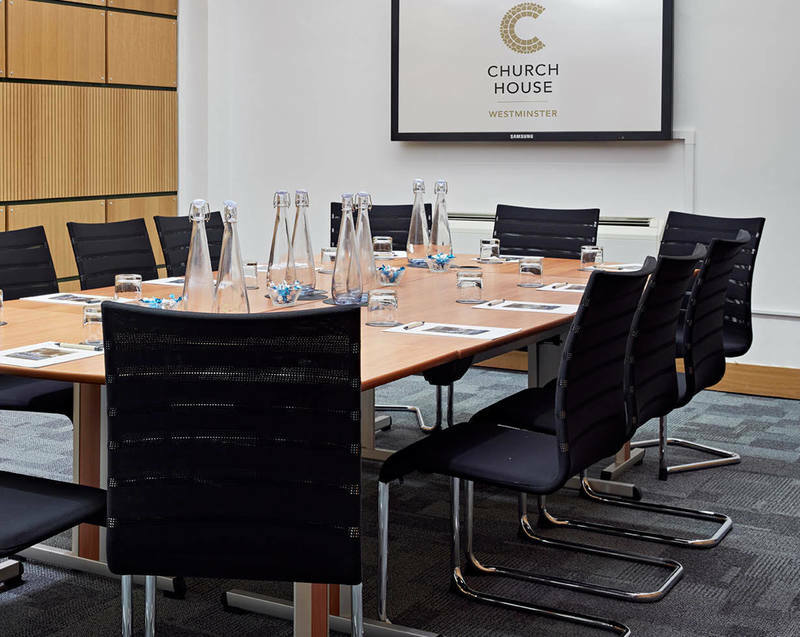 Church House Westminster can accommodate a variety of size groups for training and workshops and is set within the peaceful and green Dean’s Yard, offering stunning views of Westminster Abbey and only a few minutes’ walk from Big Ben, The Houses of Parliament and St James’s Park. To enquire about your training or workshop event needs contact us via the contact form or call us on 020 7290 1590.